Village Green takes place in Chalkwell Park, Southend on Sea surrounded on all sides by residential property and on the main A13 route from Southend to East London. It has run over one day from 11.00 - 22.00 alongside smaller satellite events in the lead up to the main day's activities since its beginnings in 2008. In 2013 an additional schools day was added to the Village Green rosta -the addition of five new performance spaces over the two days of the Village Green events. 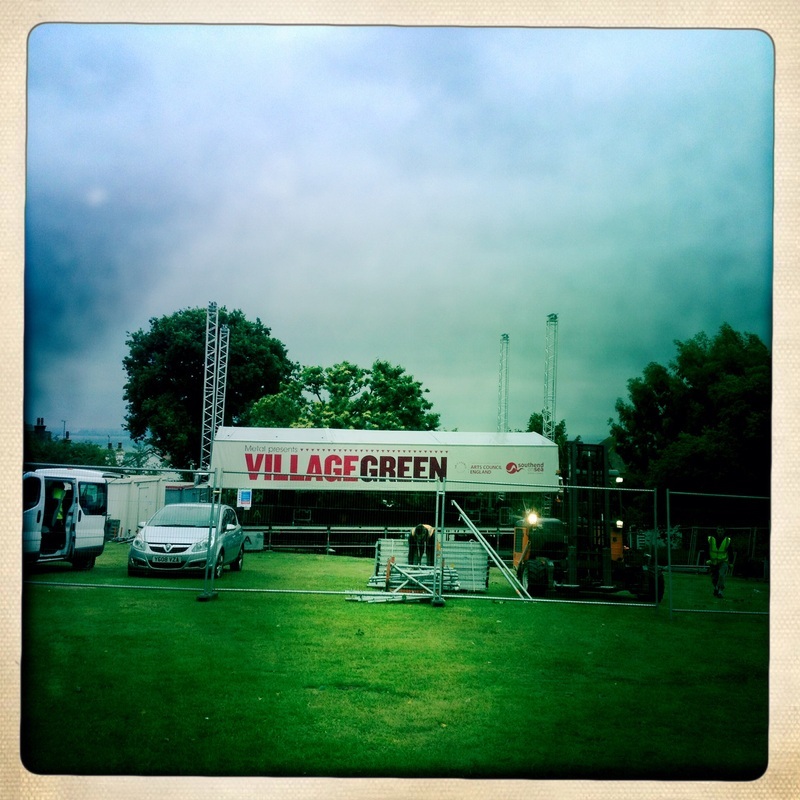 From 2008 - 2012 Village Green was the home of the Metal Wooden Soapbox stage - which has seen the likes of Billy Bragg, Carleen Anderson, Steve Mason and Wilko Johnson, Camera Obscura, The Blockheads, Snowboy and the Latin Section, James Taylor Quartet, Man like Me tread its boards. In 2013 - the festival grew and introduced a free wristband system to manage entry on the gates. The 2013 festival hosted 13 performance spaces ranging from dance to carnival, aerial and outdoor arts, performance poetry, theatre and music of all genres. It showcased multiple collaborative Art projects and supported Artist development within the public realm. All new , all emerging and all celebrating their art form. 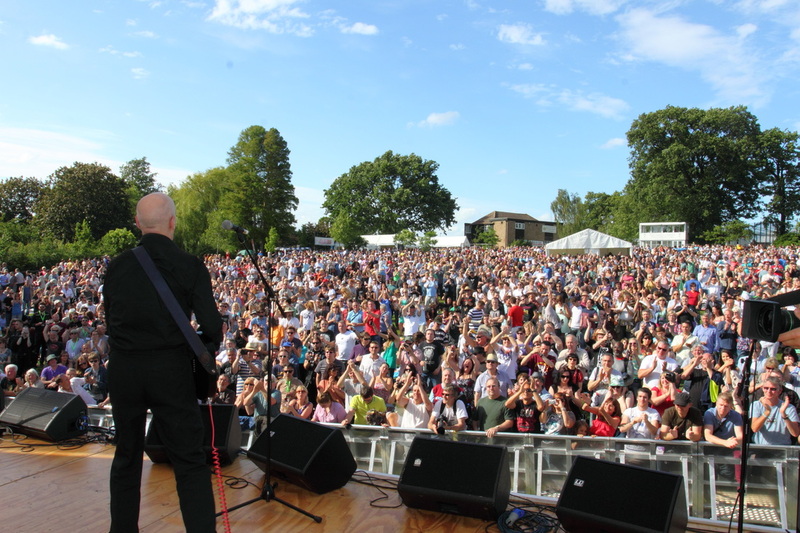 Wilko Johnson headlined the new Village Green Stage - supplied by Acorn and Sam Duckworth and his Amazing Grace project closed the Festival on our Saddlespan 5000 - provided by Gigtent. New suppliers were brought in to deliver on the new Saddlespan stage - Paul Jones and The Ethix Team provided Sound, Onyx Provided the Screen, Firefly Solar the power for the screen. Its All done with Mirrors provided a lighting rig, Johnson E Kane the AV. The long term suppliers to production at Village Green remained the same: Glyn Morgan and the Maple PA team on the Village Green Stage, Andy Barak Smith designed the lighting. Structures were from Vicarage Marquees, Indian Marquee Company and Southend Borough Council, SEC. Security - Headline. The Iconic Wooden Soapbox stage created by Fleet Architects which served as the Main stage at Village Green from 2009 - 2012. 4 day build 8 crew. 3 day strike. 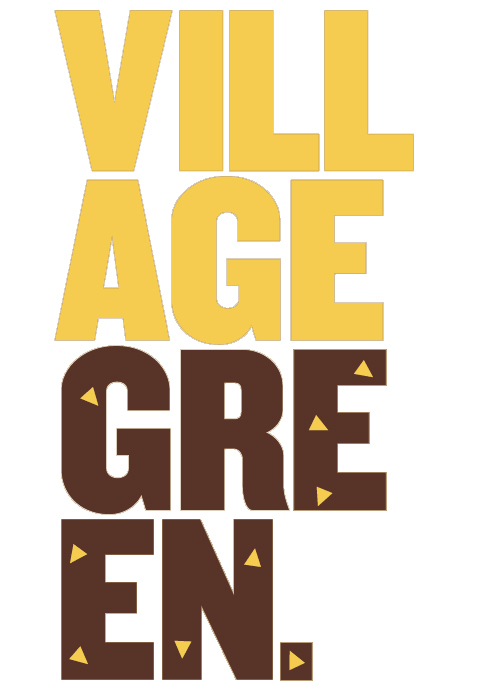 Village Green creates a magic around the fact that its integrity is to find where possible ways to give wider access to the Arts as cost effectively as possible. In order to achieve this core staff are put in place and supported by trained and experience emerging event professionals who get real life work experience, working on real experiences and with highly experienced and qualified professionals. In Line with Joanna's passion for education she has led on the idea of creating a quality festival team that nurtures talent and offers proffessional opportunity of merit, the production team, the majority of which are formed by volunteers who have shown interest in the production and backstage careers work alongside the festivals team of professionals to support their progression into meaningful and sustainable employment and training. The production volunteers gain testimonials and advice on future work opportunities, returning each year to mentor and peer educate the next new volunteer team. The crew fulfil main role so the tertiary stages and supporting roles on the two main stages. In total the Production Team consists of 150 crew across the various disciplines, 120 of this roles are fulfilled by volunteers aged 18 and over. 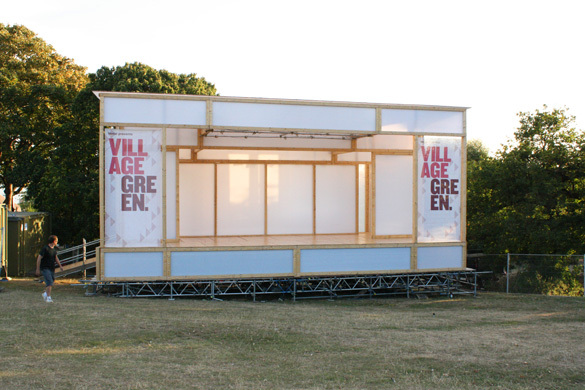 In 2014 The Village Green festival production team enlisted the help of Under 18's to support the creation and delivery of the Village Youth Stage. Headed up by Jodi Newell and a team of Yr 12 students from across Southend, the collective led on the curation, technical and delivery of the Youth Stage. The Production Team for the stage was led by Reece Stead and Blondi De blondos of the Village Green Training programme who worked with under 18's through mentoring and on the job guidance, the graduate leads being mentored by the professional staff team, therefore creating opportunities with meaningful experiences running stages and acting in the roles of technician supported by the professionals to directly support the delivery of this stage in a safe setting. Plans are afoot to develop this further so that it can feature at both Next Generation and Village Green. Over the course of its life, the Metal Culture Village Green Team have worked with over 600 individual volunteers and created links with The Backstage Academy, South Essex College, local schools, youth groups and wider community groups welcoming all as part of our Jigsaw of creating a great event for great people and by great people. So whether it is from helping out on site , in the info tent, on the media team, as a production runner, hospitality and artist liaison there are opportunities galore to support individuals passions. 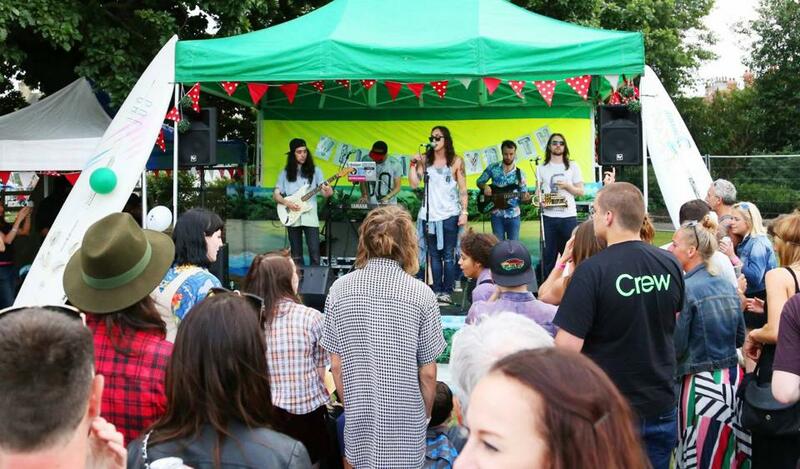 If interested in being involved with Village Green, please contact chalkwell@metalculture.com for more information.